The Conway Medical Center Foundation is once again teaming up with Tanger Outlets Myrtle Beach for the 25th Annual Tanger PINK Campaign offering shoppers great savings in return for supporting the CMC Mammography Initiative and the fight against breast cancer. The Tanger PINK Campaign launches on September 26th, and runs through October 31st. At participating retailers, Tanger Outlets Myrtle Beach shoppers using the Shop Pink Card will receive additional savings on the best brand name and designer fashions while supporting CMC’s goal to provide free mammagrams to those in need. 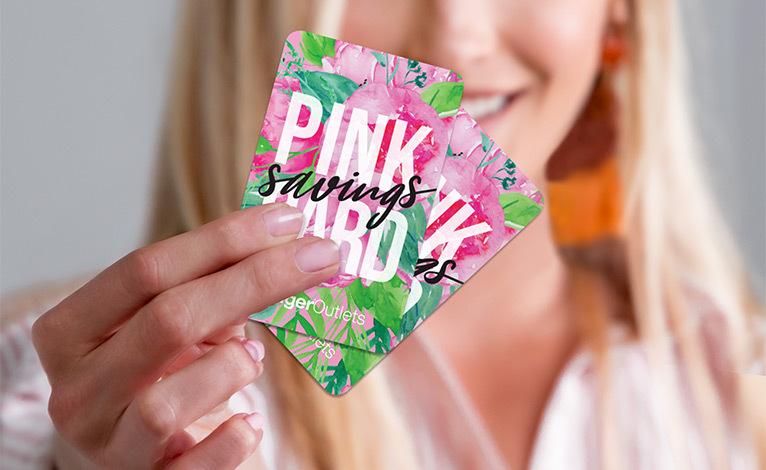 Tanger’s Shop Pink Cards offer shoppers 25% off any item at participating stores, once per day, per store with unlimited use through October 31, 2018. Shoppers will have two ways to save with PINK; by the physical or digital version of the Shop Pink Card. The Shop Pink Card is available at Shopper Services located in Suite 280 at Tanger Outlets on Hwy 17 and Suite M115 at Tanger Outlets on Hwy 501, on the Tanger app, or by purchasing through the link below. Be sure to pick a Myrtle Beach location when you purchase!